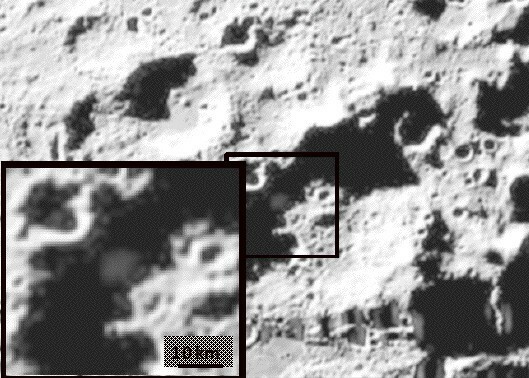 The media is all abuzz over NASA’s discovery of ice-water on the moon. This is great news, because it means the moon can potentially sustain more life than was earlier thought. That ghostly image looks to me like a silhouette reflecting off of a pane of glass – as though this woman was standing in the room from which this photo was taken, with the moon right out the window. Just to be clear, I don’t think this actually is a reflection or the image of a real person. Just a very convincing case of pareidolia. What do you think? Is the finding of water staged, just like the moon landing? Be the first to comment on "Along with water, there’s a woman on the moon"